I am a Greater China consultant and former American Institute in Taiwan (美國在台協會) employee who has resided in Taiwan a total of 18 years since first arriving to learn Chinese in 1986. I am fluent in Mandarin and written Chinese. As of June 2007, I've focused on project work including market development consulting, Chinese to English translation & editing, writing, graphic design and 'cultural bridging' work. Each of us has a positive role to play in this world and can help inspire others - we just need to try. Giant Bicycles Corporation (捷安特), Taiwan's largest bicycle designer, builder and retailer, offers a highly attractive rental program (自行車租賃) to encourage more Taiwanese to take multi-day cycling trips across the island. The program lets you choose from two mid-range (NT$20,000 / US$650) bicycles [Great Journey 1 and CRX-2] and comes with a saddle bag and support kit that includes basic cycle accoutrements (air pump, tool kit, flashlight, lock, etc.). The program allows rentals and returns at any of Giant's 30 some wholly-owned distributors (contact details for around 15 of them are posted in Chinese here). For our most recent cycling journey from Kaohsiung to Taitung, we rented bikes from Giant's Zuoying (Tsoying) outlet (捷安特左營店, tel: 07-348-0975), a 10 minute walk from the Zuoying High Speed Rail (HSR) station, and returned them at Giant's Taitung City outlet (捷安特台東店, tel: 08-934-7416). The rental program is exceptionally cost effective, with rentals billed at NT$1,000 (US$35) total for the first three days and NT$200 (US$7) for each day thereafter. While bikes seem to be kept in good condition, make sure to give them a thorough once over before setting out. 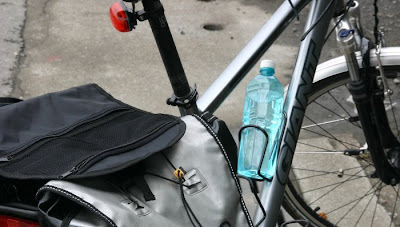 You probably will also want to consider packing a spare inner tube and/or tire repair kit as well. The bicycle rental program is surprisingly under-advertised. Prior to our trip in March, I did a Chinese language search of the Internet and came up empty on any rental program details. The Giant website (also in Chinese) is quiet on the rental program as well ... the company apparently treating it as somewhat of a stealth operation. Giant may be concerned about over-subscriptions and thus prefers word of mouth promotion. I've actually been meaning to ask you for more details about this rental program since I read your report of that trip around the southern tip... so I'm really thankful for this. Thank you! Do you follow the Tour de France at all? We were pleasure to talking with you in Saturday night. we saw many stories and pictures from your blog. you are really a "Formosa guy". we love it. Thanks for this info, Jeff. Since the 6th of May Iberia and -it seems- most IATA companies are charging an additional 150 € (225 $) per leg for carrying your bicycles. Programmes like Giant's rental would definitelly be welcomed. I'm going to mainland China (Shanghai, Guilin) in September. Do you know if this rental programme is applicable there as well? Sounds like a great trip. You are biking one way from Shanghai all the way to Guilin. Wonderful! Public transport systems (of which many airlines should be included) should initiate programs to encourage people to take bicycles with them. Trains and inner-city light rail systems in Taiwan are only now taking tentative steps in this direction. Taiwan has one of the highest population densities in the world and should be able to make real & positive impacts (and score some international pr points for itself) by taking bold initiatives in the realm of low eco-impact transportation alternatives. Unfortunately, "bold" is an adjective rarely permitted to stain public policy on our beautiful island. As for similar rental programs in China, I've no idea, but imagine that Giant Taiwan and Giant China are run as separate entities. Your best bet would be to e-mail some of the large maker/retailers and ask for referrals. In addition to Giant, Merida and Fuji seem to be doing a good business selling mid-range bikes (neither offer a rental program as far as I know). China surely has its own maker/retailers, who might offer multi-point rental programs. 我是sEga，不曉得你還記不記得我，我來你的Blog造訪了，我看到這句話 "Each of us has a positive role to play in this world and can help inspire others - we just need to try. "覺得好感動，你真的是個很棒的人，很高興在課程上認識你，this is my msn address "segafree@msn.com。加油喔，keep in touch. That's pretty interesting. I would like to try it sometime . I have been to Taipei too last March and cannot wait to go back again! I look forward to more of your post about Taiwan. HA, thanks for sharing! I am in process of planning a biking trip in Taiwan. 1. Where is the best route with good landscaping, and mountain view? 2. Cold weather and rain , not for me,when is the best time to to plan my trip? 3.I have a duration of 5-6 days (cycling days). 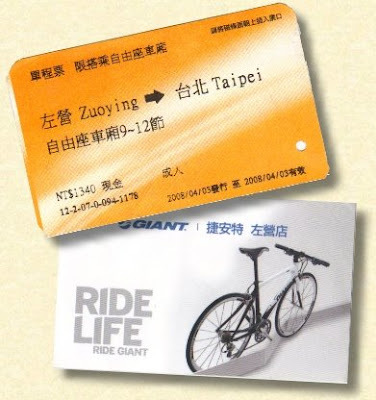 I would say take your bike on the train to Hualien and do the ride down to Taitung. 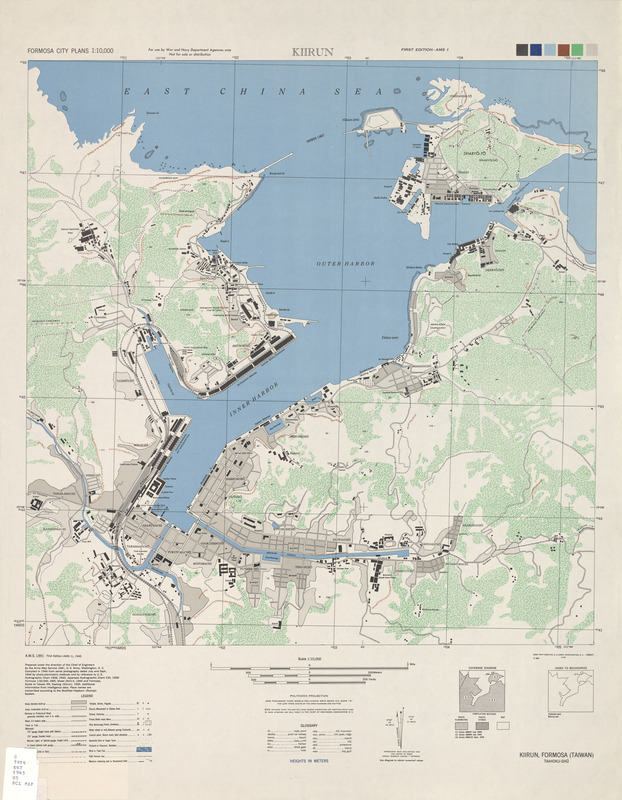 Does anyone know where i could find a decent map of provincial highway 11 to plan my cycling trip ? I am planning to participate in the Beautiful Taitung Triathlon in October of 2010 and was wondering if anyone knows where I can rent a road bike for the race? It just seems troublesome and expensive to bring my bike there for the race. Thanks! I'm really glad I found your site! It's great! Can we speak more about a 5-6 day bike trip around Taiwan? I would love your input in planning this trip. I just found your website. Thanks for all the great information. I am planning a trip to Taiwan next week! (yes, sorry about the short lead time.) We would love to spend a few days cycling and have been trying to get hold of Giant about renting bikes. IS the program still in existence? Do you happen to know where we could rent/borrow either trail-a-bike attachments of kids or tandem bikes suitable for kids? We live in the Philippines so in the worst case situation we can bring our trail-a bikes, but want to make sure we can at least rent mountain bikes. Also, ideas for a good cycling trip with kids? Probably cabin to cabin (or hotel) or are there good camp sites? Would we need to bring our tent? Any advice is greatly appreciated.